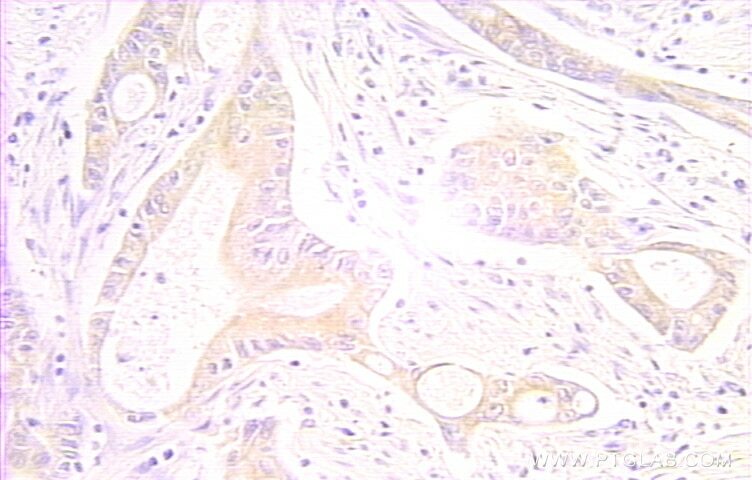 IP Result of anti-RAIDD (IP:10401-1-AP, 3ug; Detection:10401-1-AP 1:1000) with mouse kidney tissue lysate 4000ug. 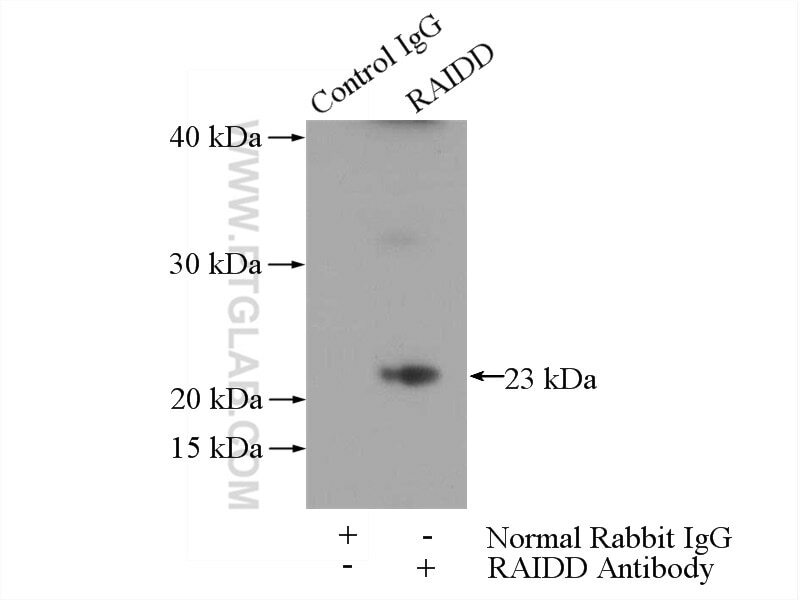 RAIDD, also named as CRADD, is an apoptotic adaptor molecule specific for caspase-2 and FASL/TNF receptor-interacting protein RIP. In the presence of RIP and TRADD, CRADD recruits caspase-2 to the TNFR-1 signalling complex. CRADD interacts with BCL10 through its caspase recruitment domain and suppresses interactions between BCL10 and CARMA1. It is a negative regulator of the CARMA1 signalosome and suppressor of Th1-and Th17-mediated inflammatory responses. Cutting edge: the "death" adaptor CRADD/RAIDD targets BCL10 and suppresses agonist-induced cytokine expression in T lymphocytes. The Adaptor CRADD/RAIDD Controls Activation of Endothelial Cells by Proinflammatory Stimuli.